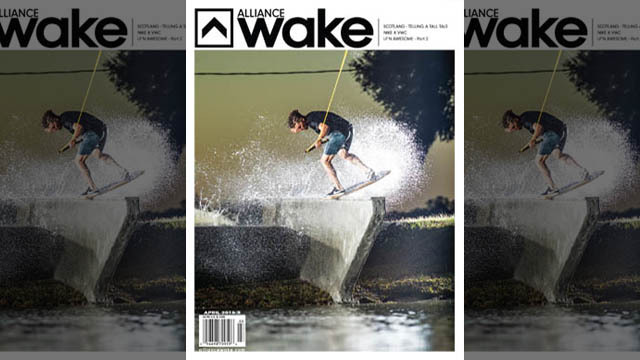 The April issue of Alliance Wake is out now and it’s a great way to kick off the spring season here in the northern hemisphere. It starts off with a sledgehammer of a cover featuring Ben Horan and the brand new ledges built by the him and the crew at Valdosta Wake Compound. From there you can check out one of the coolest travel pieces we’ve seen put together. 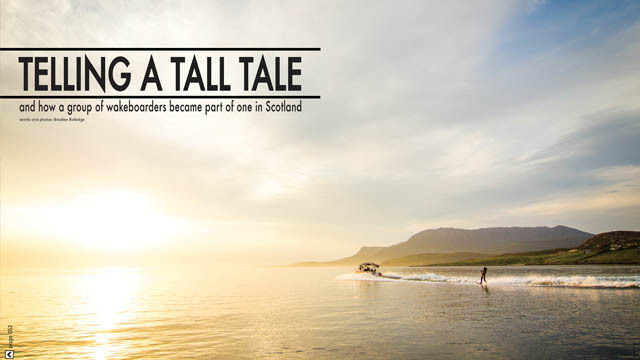 Adam Errington played host to Massi Piffaretti, Robby Holihan, and Josh Twelker in his native Scotland. The boys embarked on an adventure unlike any other, including one part that took them miles out into the open Atlantic on a rare, glass calm sunset session. Think you’re confined to your local waterways when it comes to riding? Think again. 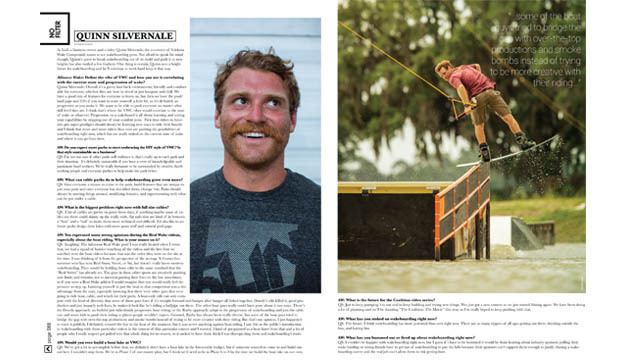 Then be sure to check out the “No Filter” interview with the man behind Valdosta Wake Compound; Quinn Silvernale. Quinn’s riding speaks for itself, but his true mark on the sport these days might be the park he’s helped create and the Coalition video series that is sweeping the Internet. 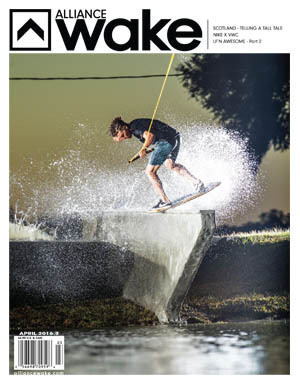 Be sure to pick up the newest copy at your latest board shop and check out all the awesomeness. 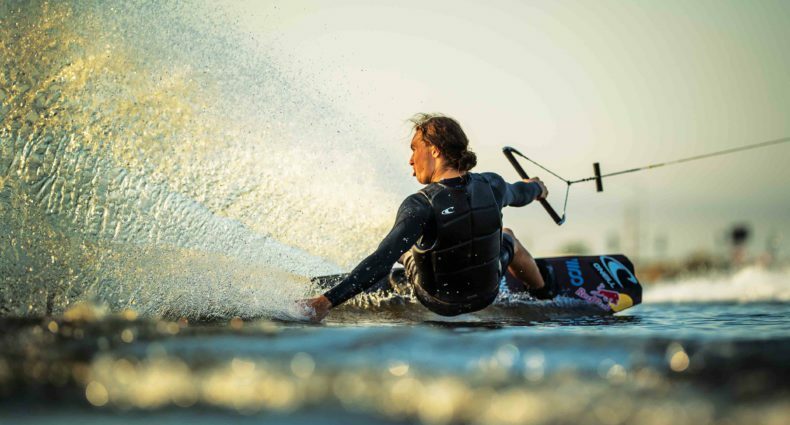 And know that warm weather is on its way and soon enough you’ll be able to have some more wake adventures of your own. That cover is awesome. Need to go pick up a copy!